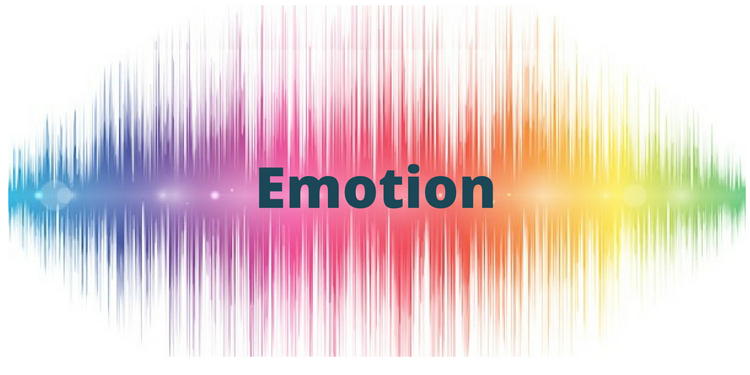 Emotion is coming to the forefront of Customer Experience (CX) management, not because it’s warm and fuzzy, and not because leveraging feelings is devilishly manipulative, but because when you use emotion to drive your CX efforts, it becomes a powerful differentiator. More companies are getting better at the functional basics of customer experience, like responding in a timely manner to questions, streamlining the purchase process, and smoothing out onboarding (not to mention creating a decent product) – which means they need something unique to offer that separates them from their competition. What is the most unique, even unforgettable thing you can offer? The way you make your customers feel. It’s for this reason the bar for CX is inching up. Emotion not only carries the ability to define your company in a sea of competitors, it can also inspire viral word of mouth marketing from people who love you and want to express that to a large audience, whether because they’re influencers with their own followers, or reviewers. We are hardwired as human beings to be more sensitive to negative events than positive events. And this sensitivity only increases when we’re in a heightened emotional state – focusing on the negative becomes even easier. As odd as it may sound, this is good news for those of us in the business of relieving pain points. You’ll get more appreciation from your customer by removing pain than creating delight. So, if a customer comes to you with a problem, you can expect them to be in a heightened emotional state, which means not only should you tread carefully, you’ll do well to relieve their most urgent pain points as soon as possible! As a species, negative consequences take an enormous toll on us. In fact, we’ll go farther out of our way to avoid negative consequences than we’d go for positive results of equal measure (it’s called “Loss Aversion”). This behavior is predicated on the emotional truth that something bad feels worse than something good feels better. Losing $20 might wreck your day. Finding $20 may make you happier for an hour. How does this translate to CX? Vanguard, one of the world’s largest investment companies, was getting ready to redo its site, and rather than just considering customer acquisition, or lead-generating instruction, they studied how people felt about investing. They looked at whether their target audience was new to investing, had been investing for a while, and what their emotional baggage might be around the topic of investing in general. They discovered that, new or experienced, most people feel overwhelmed. Now, if you visit Vanguard’s site, their design is very simple, even sparse. They knew that visual clutter would only enhance the feeling of overwhelm. Their new design reduces it. Delta airlines also makes a point to reduce customer pains. They set up their phone systems so that if you call in response to getting a text message saying your flight was canceled, their automated phone system will put you straight through to the appropriate person rather than route you through a dozen exhausting options. After I arrived, I received a text message alert that one of my two bags did not make it and would be delivered to my address within 24 hours,” she says. “I also received an email where I could track my bag, see who was delivering it and at what time. At no time did I have to wait in line or on hold for them to rectify their mistake. They simply took care of it and kept me informed every step of the way. To me, that was amazing customer service. Amazon offers one of the most loved customer experiences, some argue, because it provides “an unparalleled sense of emotional satisfaction.” How do they do that? Not through being especially warm and fuzzy, but by reducing pain points with features like multiple wishlists, a save-for-later area, an easily accessible cart, and even more easily accessible price comparisons, along with shipping cost reduction and the nearly instant gratification of Prime. If and when a customer does have a problem, returns are easy and customer service gets top marks. 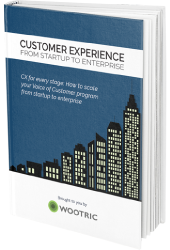 A lot of bad customer experiences are ‘death by a thousand cuts’ annoyances. Avoid exacerbating pain in an already painful situation, and the better the customer’s perception of their experience will be. Emotion is linked to loyalty (and CX is linked to emotion). In the hotel industry, which has the largest percentage of customers that reported feeling “valued” one study reported, 88% of the “valued” people will advocate for the hotel brand, and more than 75% will stay with the hotel brand. The TV service provider industry, unsurprisingly, has the largest percentage of customers who report feeling annoyed. Only 8% of these annoyed people express willingness to advocate for the TV service provider, and just over 1 in 10 intend to keep their existing relationships with the provider. For the SaaS industry, retention is a key metric for profit and growth – you can’t afford to annoy, disappoint, or frustrate your customers. Essentially, customers are 5 times more loyal when they feel valued, than when they feel annoyed. The most important emotions for loyalty in the U.S. are, in fact, feeling valued, appreciated, and confident. For example, there’s something about Slack that makes you feel confident (and a bit cool) that you’re part of something that’s on the leading edge. That’s not just because Slack is relatively new – they engender this feeling on purpose with Slack release notes (which are hilarious, self-deprecating, and charmingly relatable) that make updating the app a pleasure. Not only do they manage to keep everyone up-to-date, they remove the significant pain of updating an app and replace it with a positive emotion. Note: Positive emotions that drive behavior like repurchases and advocacy differ by country and culture, even by customer base. 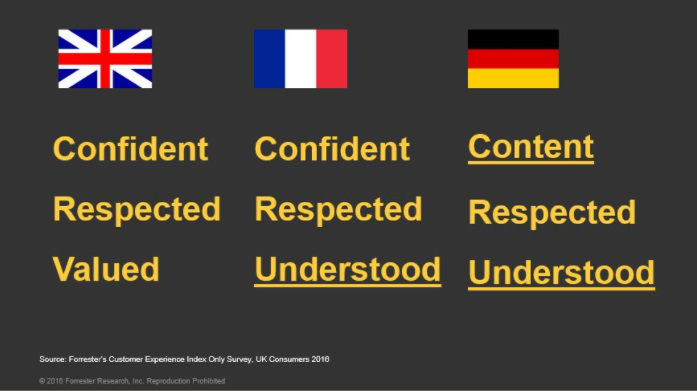 In the UK, Germany and France, for example, the top three loyalty-inspiring emotions are slightly (yet significantly) different. Loyalty weakening emotions differ by country and culture too. 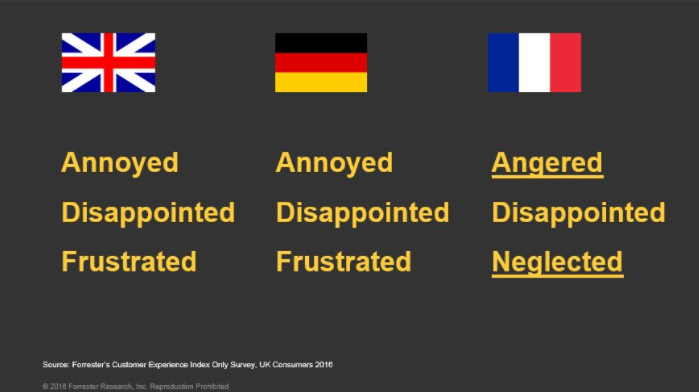 U.S. customers share their loyalty-weakening emotions with their U.K. friends. Be sure to understand the emotions of your specific customer base rather than make assumptions. Interestingly, customer loyalty itself comes in multiple flavors. Loyalty can mean retention (the customer will maintain existing business), enrichment (a customer will buy additional products and services), advocacy (the customer will recommend the company). 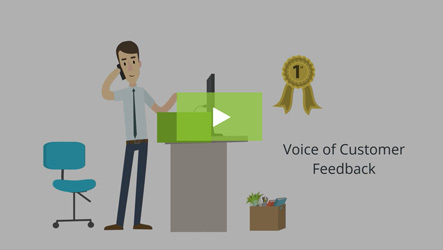 Do you know how your customers feel about their experiences with your business? 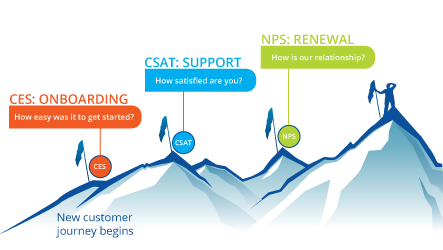 Most CX measurement programs don’t quantify customer emotions – they focus more on metrics that reflect a rational or cognitive evaluation of experiences. Maxie Schmidt-Subramanian, senior analyst at Forrester, says businesses can begin measuring emotion in CX by first defining metrics that measure critical emotions in influential experiences (the ones with the highest impact on customer relationships). Yes, that means you’re making it up as you go along. 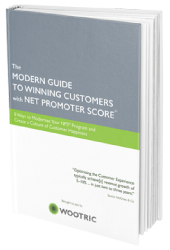 You have to figure out for yourself which metrics effectively measure emotion for your customers, in your context. One way to do this is by tracking sentiment in Voice of Customer data – people convey a wide range of emotions with the words they use. Some companies, like Lenovo, use text analysis software to measure changes in sentiment scores, alerting when sentiment falls below a certain threshold. Using a sentiment analysis tool, you can track positive or negative themes and dig into specific words most often used by your customers to describe how they feel. You can also mine customer feedback and questions, or any other written message from your customer to you. Of course, the most straightforward way to get Voice of Customer data is through surveys, and if you time your surveys right (and ask in the right channel), you can begin to tell what events trigger which emotions. Whichever method you choose to get your emotion metrics, the goal is the same: to define the emotional context customers have around your product, industry, and specific touch points in your sales funnel, onboarding process, and usage. From there, you can identify and alleviate pain points, gain loyalty, and win brand advocates. Emotion is a relatively ‘wooey’ topic. It’s still considered soft. It’s not taken seriously by many. So make it your mission to prove the value of emotion early on in your program by first targeting the highest-emotion touch points, and developing experiments for how to improve customers’ emotions around those experiences. Then track your success rates. But remember, emotion is contextual, and you don’t have control over the entire context of a customer’s experience. That said, companies who value customer loyalty are willing to go to creative lengths to keep customers feeling good about their brand. Join them. Win customers for life. 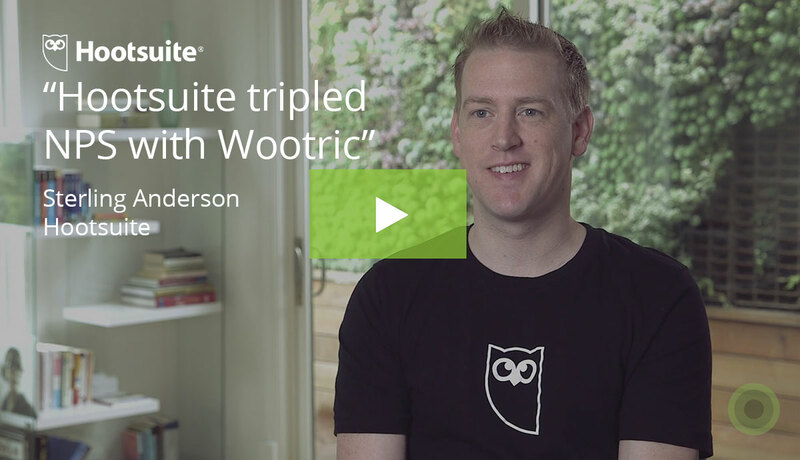 Start getting Net Promoter feedback today with Wootric.